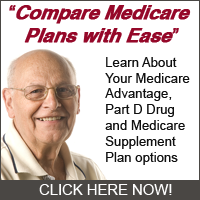 The Medicaid program is a nationwide service that is both federal and state administered. Each state has their own individual requirements and programs when it comes to Medicaid coverage. If you are interested in applying for Louisiana Medicaid, you will need to meet eligibility requirements and provide the required documentation and verification. There are certain groups who are automatically qualified. For example, if you receive SSI income or are part of the Family Independence Temporary Assistance Program (FITAP), you are automatically eligible to receive Medicaid coverage. Even if you do not receive SSI or FITAP benefits, you may still qualify for Louisiana Medicaid. For example, if you are 65 years or older, blind, or disabled you are a good candidate for Medicaid coverage. Another group that is often able to obtain coverage are pregnant women or families with children whose income does not exceed the stated amount. There are special programs for women suffering with breast and/or cervical cancer as well. The CHAMP program is for children under the age of 19, while LAMoms is for pregnant women. There are other programs as well for various groups. If you have questions about what is covered under Louisiana Medicaid or whether or not you are eligible, you will need to contact your local Department of Social Services. They will assign you a caseworker who can help you complete your application and answer your questions. Examples of the documentation you may need to provide when applying for Medicaid include bank statements, check stubs, photo identification, your Social Security card, evidence of pregnancy and/or disability if applicable, and whatever else your caseworker instructs you to bring. All of this documentation will be used to determine your eligibility for Louisiana Medicaid. Those who are approved will be issued a Medicaid card and instructed on how to use it. You will need to choose a primary care provider who participates in the program as instructed by your caseworker. If you have questions about obtaining medical care under the Medicaid program, you should consult with your caseworker. If you have not yet applied and do not have a caseworker, your local Department of Social Services can advise you.